At least we think it is G-L Jochum. This recording (made in February of 1956) with the RIAS (Radio in the American Sector) Orchestra Berlin, has been released on several labels. Some identify (and the Deutschland Radio Archiv concurs) that the conductor is Georg-Ludwig Jochum. Others have identified the conductor as "Harold Byrns." Either way, it is a great performance. So, by chance, who is Harold Byrns? Harold Byrns (1903-1977) was a German-American conductor and arranger and he split his career between Germany and Los Angeles. 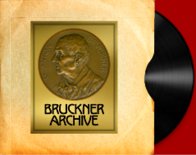 Byrns was devoted to the music of Gustav Mahler and was friends with Mahler's widow Alma. 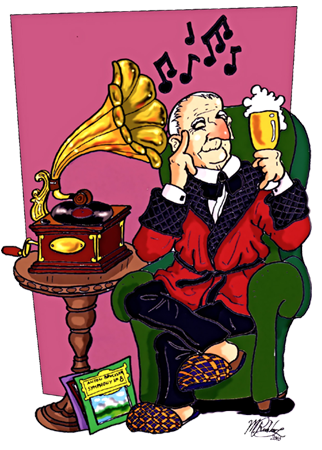 It was he who brought Deryck Cooke's completion of the Mahler 10th to Alma and persuaded her to listen to the BBC recording that she had permitted to be made. After hearing the recording she immediately lifted her ban on further performances. 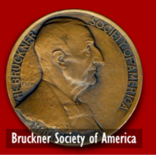 For his efforts, Byrns received the Mahler medal from the Bruckner Society of America.